Embroidery can be a really fun and individual way to spice up any piece of fabric or add a thoughtful touch to a gift. You can add your flair to any shirt, tote bag, or display it with a hoop or a frame. I'll be showing you some DIY tips for embroidery made easy! Practice Your Stitches: Embroidery can be as easy or as difficult as you want to make it! You can do a plain running stitch (what I did on this project) where thread the needle up and down to make a clean line. If you ever wanted to incorporate any complicated stitches, Pinterest is a great place for tutorials and ideas! Sketch/Finding Inspiration: Get some paper and draw what you want to embroider! It can be a picture, a saying, anything! I really like tattoo-style banners and song lyrics for my own inspiration. 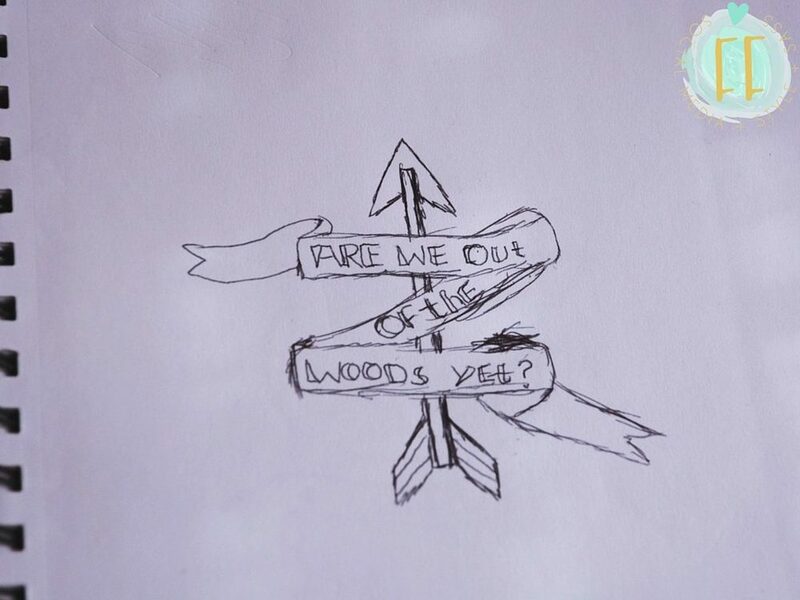 I decided to use Taylor Swift lyrics, with a banner and a cute arrow! When I come across something on the internet I'd like to embroider, I have a file in my computer to store it in. Pick Your Fabric: I found this really cool vintage hankie to embroider one of my favorite lyrics on! 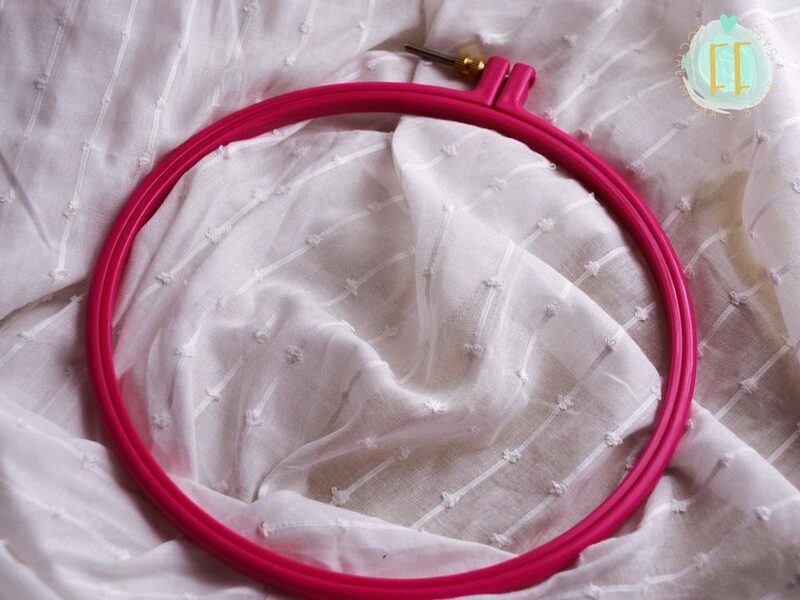 You can also use tote bags, hats, shirts, notebooks, or just leave it on the hoop! A project like this from start to finish will take me no more than a half an hour if I'm not taking breaks. Have fun adding your flair, happy stitching!